Film director Richard Linklater on Last Flag Flying, plus why literary fiction is in decline and what can be done to reverse the trend. 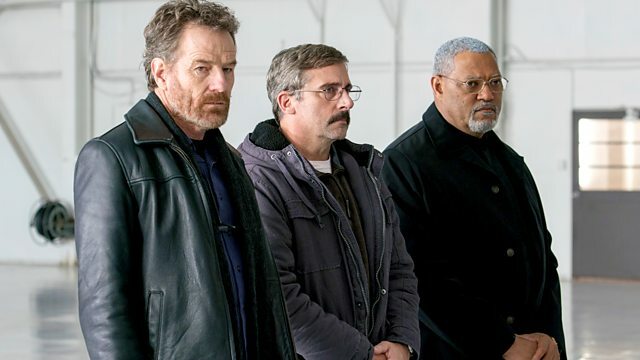 Director Richard Linklater discusses his new film Last Flag Flying, starring Bryan Cranston, Laurence Fishburne and Steve Carell, about three former US servicemen who re-unite in 2003 for a road trip to bury the son of one of the men, killed in the Iraq War. A recent Arts Council England report into literary fiction shows that sales, advances and prices have slumped over the last 15 years with the average writer earning around £11,000 a year - less than the minimum wage. The Arts Council have responded by pledging more support for authors including possible tax breaks for small publishers. The co-editor of the online magazine Books Brunch Neil Denny, critic Alex Clark and publisher Sharmaine Lovegrove discuss the report's implications for the future of literary fiction. In a new collection Don't Call Us Dead, young American poet Danez Smith muses on their experiences as a black HIV positive and genderqueer person living in America today. Richard Linklater's film Last Flag Flying, Certificate 15, is in UK and Irish cinemas from 26 January 2018. A live q &a with one of its stars, Bryan Cranston, broadcasts to cinemas nationwide on 21 January 2018. Image to the left: Richard Linklater (Right) with Front Row's Stig Abell. Danez Smith's poetry collection Don't Call Us Dead is out now in paperback and ebook formats.